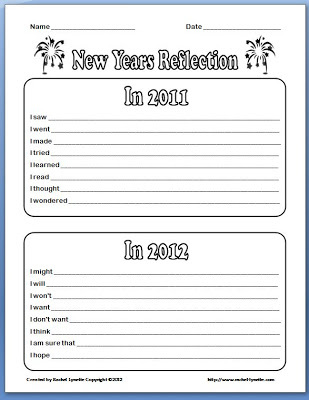 So, first off, I have to say that I stole borrowed this idea about resolutions with adjectives from author Martha Beck*. She says that when you’re making goals or resolutions to focus not on the nouns and verbs (I will lose 25 pounds) but rather on the adjectives that describe how you would feel if you achieved the goal (healthy, strong, attractive). She suggests brainstorming a list and choosing the three best ones on which to focus. Focusing on the adjectives can help you to refine your goal and to be motivated to achieve it. 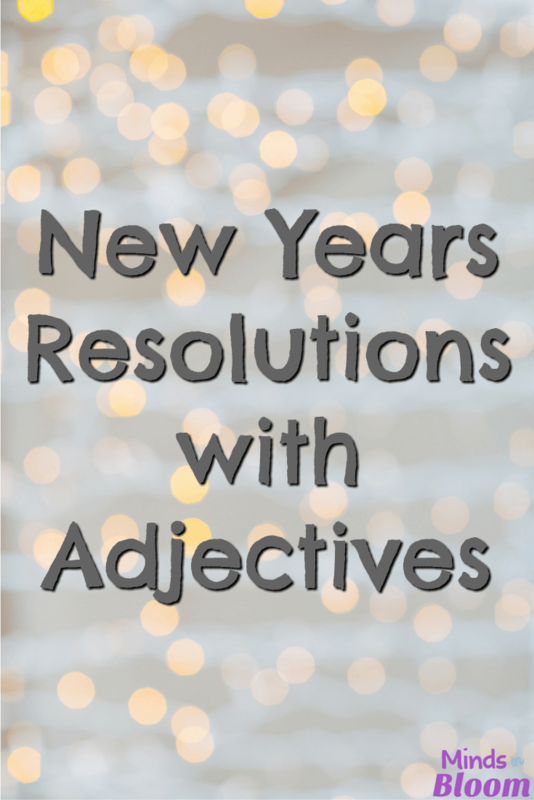 I liked the idea of resolutions with adjectives and wonder if it might be applicable in some way to kids. Would it be valuable to ask students to first write goals/resolutions (I have asked students to write three goals: one academic, one behavioral, and one personal) and then ask them to write adjectives to describe how they would feel if they were to achieve those goals? Then, they could brainstorm activities they can do now that make them feel that way. *Beck, Martha, “Words to the Wise,” O: The Oprah Magazine, January 2011, pgs 37-38 &41. 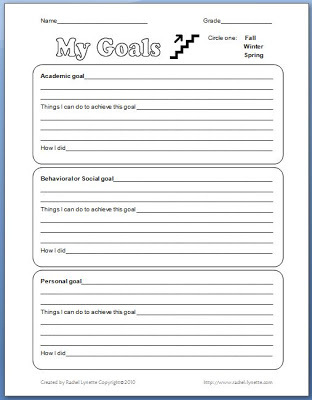 Download this Student Goal Printable free.